The 767 foot long, 25345 dwt self-unloading bulk carrier Kaye E. Barker became stranded in ice on Lake Superior near Picnic Rocks. 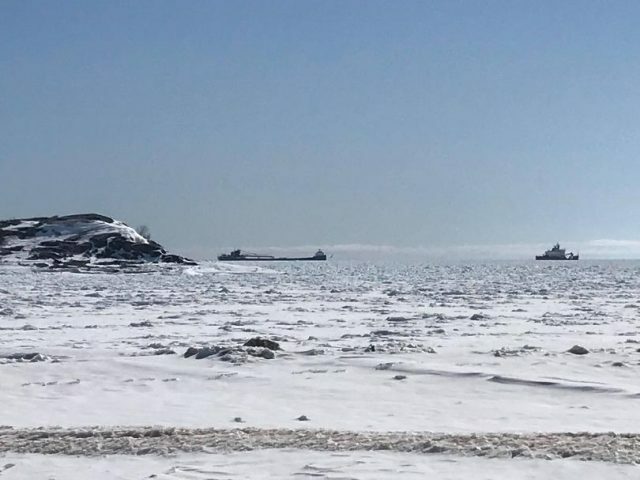 The bulk carrier was en route to the ore dock in Marquette when it became stuck in thick ice. 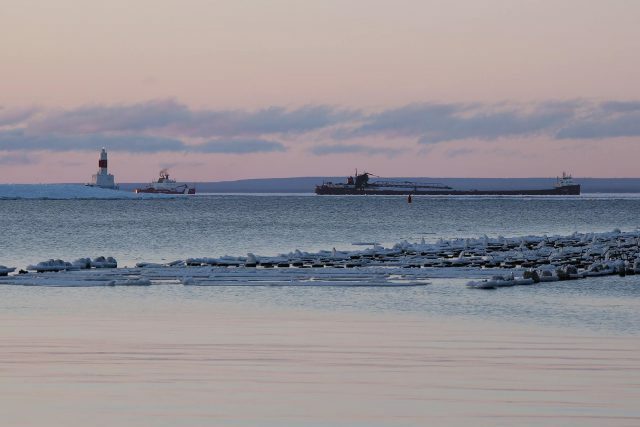 The vessel requested assistance with the Coast Guard Cutter Mackinaw arriving the following day and broke up the ice around the Kaye E. Barker allowing the vessel to continue on its voyage. No reports of injuries, damage or pollution released. Reports state strong winds earlier in the week had compressed the ice field.